As media and political leaders in Oklahoma are cheerleading efforts to increase taxes and undermine taxpayer provisions in the state constitution, some voices are standing up to say "Stop!" 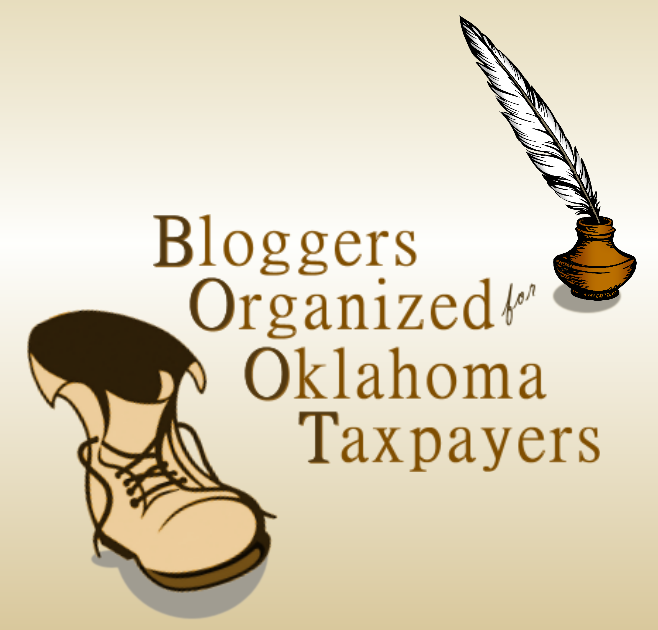 Bloggers Organized for Oklahoma Taxpayers is a grassroots network of bloggers and writers dedicated to defending Oklahoma taxpayers against the onslaught of higher taxes and "reforms" that would strip taxpayer protections from the Oklahoma Constitution. We pledge to be the voice for the working-class majority in Oklahoma who don't have lobbyists at the Capitol to counter the access of the powerful and influential who seek to undermine the consent of the governed. While the mainstream media in this state pushes oligarchy-style schemes to make it easier for government to take more of Oklahomans' hard earned income, we will fight to stop these economically detrimental plans. From articulating arguments against these ideas, to publishing important information and supporting elected officials who are defending the People, we plan to answer the call to defend Oklahoma taxpayers. 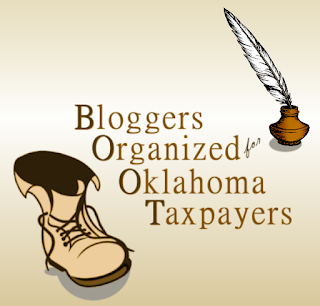 Over the coming days and weeks, I will be joining several other writers and bloggers in this effort to defend the Oklahoma taxpayer. Want to come aboard? Contact me to join the cause.